This is our third post in a series on the web design and development conference, An Event Apart. After you learn about measuring engagement here, read up on improving website accessibility. There’s a popular meme we like. The image shows a beautiful brick walkway, designed to get park visitors neatly from point A to point B. Right next to the walkway, there’s a dirt path, well-trodden by people who have ignored the intended route. 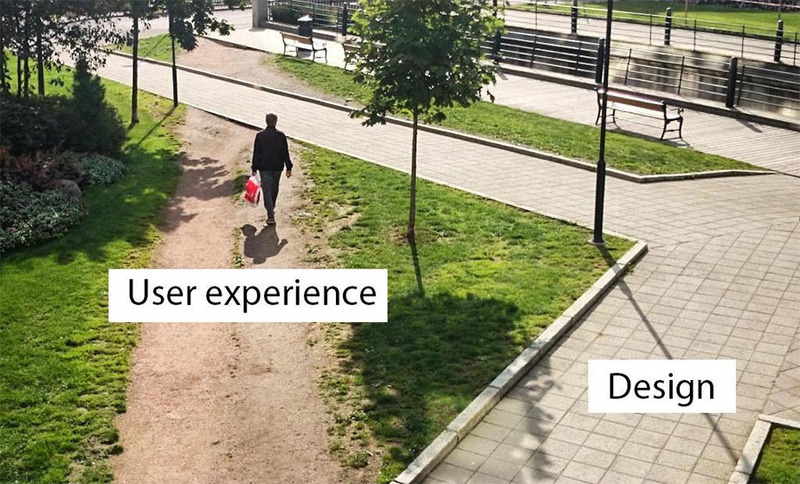 This meme perfectly demonstrates how users behave on your website. Some will take the beautiful path you laid out for them. Many more will move through your site in ways you never predicted. As we’ll explain in this post, effective web design isn’t about controlling your visitors – but adapting to how they behave on your site. We all wish our website visitors would follow the paths we laid out for them. We wish they would find what they need quickly and painlessly. We know that’s not always the case. So what do you do about it? During his presentation, Gerry showed us different examples of less-than-ideal customer experiences. He then explained how he helped resolve those problems with research, testing and analysis. He opened with an example from Canada’s travel website. As you can imagine, it was difficult to manage, with different government agencies contributing to different parts of the website. With testing, they found that visitors were having trouble finding information on travel documents for tourists. They expected users to look under “Immigration” for this information, but tourists did not know to look there. By moving the content to the “Travel” section instead, many more site visitors found what they were looking for successfully. Why does measuring your customer experience matter? As with the Canada website example, it is important to keep in mind what your website audience actually does, not what you want them to do. That way, you can keep them on your website longer, even though attention spans online have never been shorter. As Gerry put it, we expect our Amazon deliveries within hours of purchase. We expect websites to load in milliseconds. In that way, we also expect information to be available instantly. Gerry was quick to point out that wait times are your competitor’s opportunity. The longer it takes to find valuable information on your website, the more frustrated they’ll be. If your website is hard to use, customers will abandon you pretty quickly. How do you prevent this frustration? First, you need to identify customer pain points. 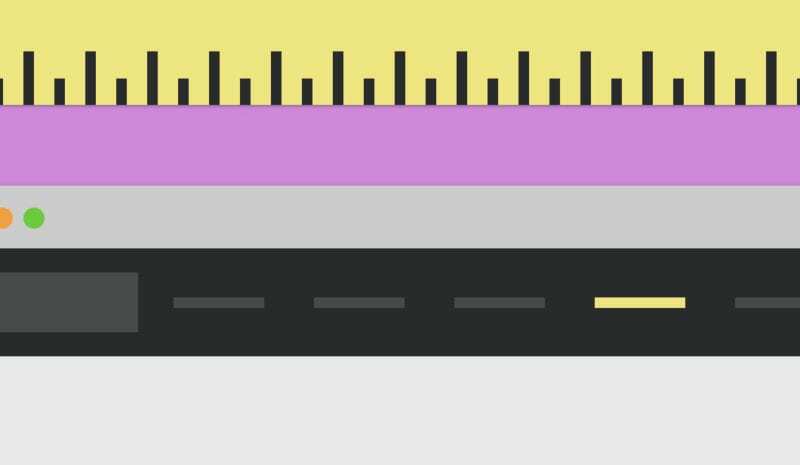 These are the blind spots on your website that slow down your customers and hurt your bottom line. To find these frustrations, you can run tests to measure how quickly customers can find key information on your website. How do you set up these tests? Creating these sorts of tests is easier than you think. Gerry outlined a few key steps to help get started. Keep your sample group fairly small. You only need 13-18 people in order to get reliable results from your tests. Set up a simple testing environment. You don’t need a fancy lab to learn more about your customer’s experience. You should have the customer at one computer and a proctor following along at a second computer. Carefully design your questions. Have them track down specific information on your website; there should only be one possible answer for each question. Your questions should be short, 20-30 words max. You want to be clear, but you don’t want to give them too many keywords or clues on where to find the answers. Have target goals in mind. See how quickly customers can complete the tasks you designed. The target times should be somewhere between 20 seconds and 2 minutes. With these tests, you should be able to see which tasks tripped up your customers. Don’t worry too much about outlier results. Instead, look for patterns. See which parts of your website could be improved based on these pain points. If you need to sell these improvements to management, Gerry recommends showing videos of customers trying and failing to complete the tasks you designed. By combining data and empathy, you can overcome office politics and make real improvements to your site. Want customers to have better experiences on your website? Get in touch with us. We can make your website user-friendly and keep your customers happy.